Bunny Ears Headband. 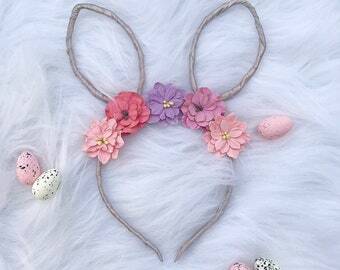 Easter Bunny Ears Flower Headband. 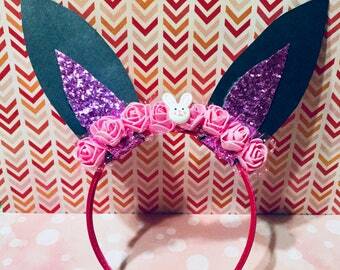 Floral Rabbit Ears Party Headband. Crochet Baby Headband, Newborn Headband. 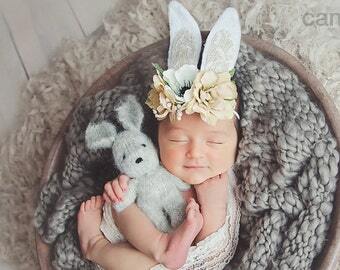 Easter bunny ears, Flower Headband, Newborn Photography Prop.